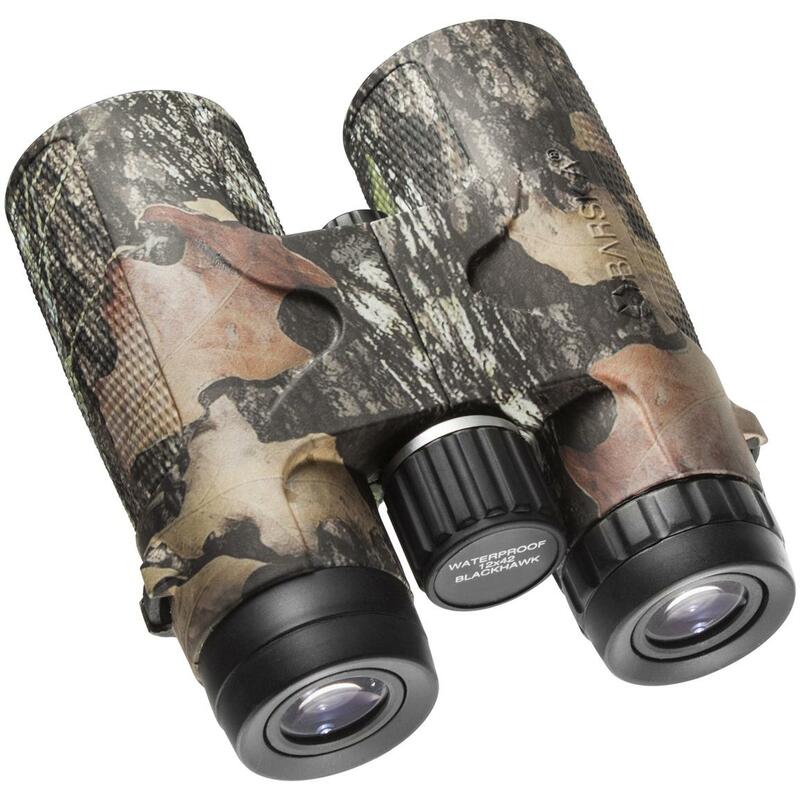 Get more than meets the eye with Barska® Blackhawk 12x42mm Mossy Oak Break-Up Camo Binoculars. Fully coated optics and powerful 12X magnification provide clarity that you can appreciate whether scouting through trees and brush or glassing across a wide open range. 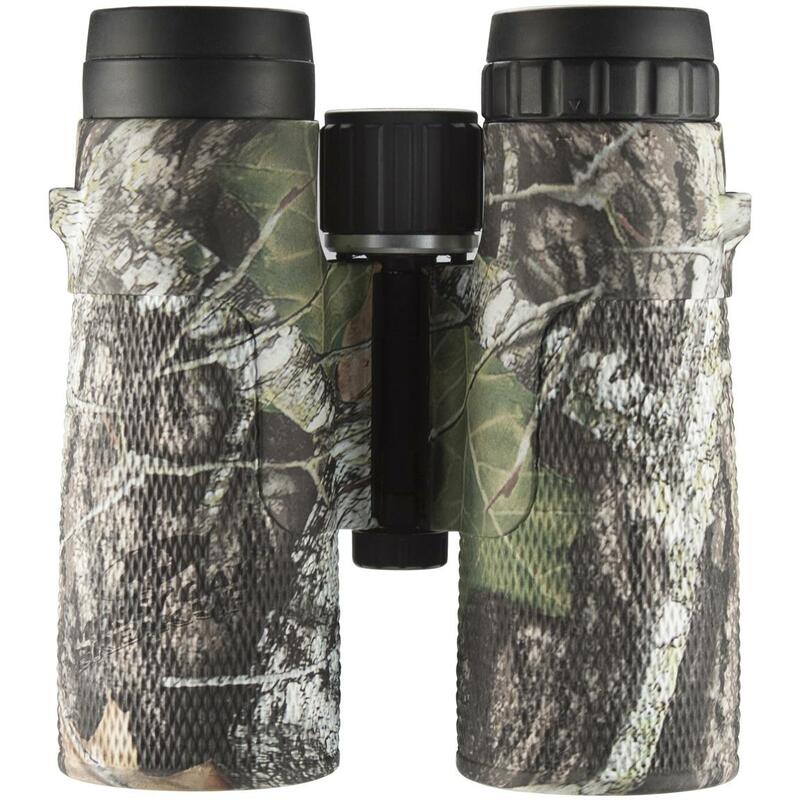 Compact roof prism design with BAK-4 glass keeps the binoculars compact and lightweight while the tripod adapter gives you options for extended viewing. 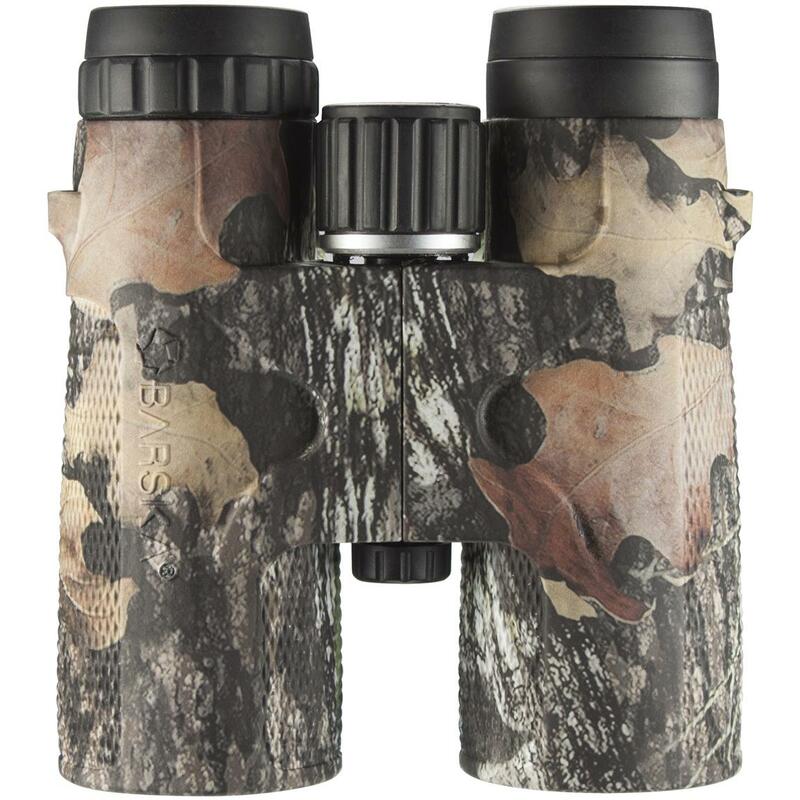 Mossy-Oak® camouflage make the Blackhawk Binocular ideal for use in a tree stand or duck blind. 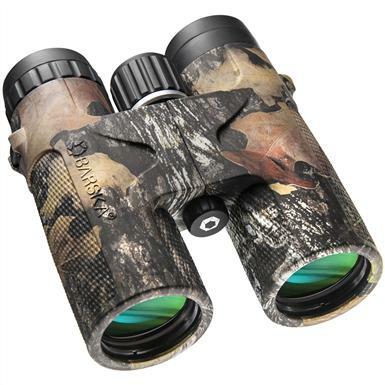 Barska Blackhawk 12x42mm Mossy Oak Break-Up Camo Binoculars is rated 4.8 out of 5 by 4. Rated 4 out of 5 by Carl B from great price I like the glasses, can see a long way well, eye relief is a little hard to get used to, but after that all is good.Great price too!! Rated 5 out of 5 by Bob T from Superb Optic Needed to get new binos as had old ones for years. SG had great price on quality pair. Clear and small enough to put in your jacket. Rated 5 out of 5 by stevieray from great quality&price I'm very pleased with these,price,quality,clear,fairly light,I would recommend these to anyone.I can see clear detail 400-600 yards away.